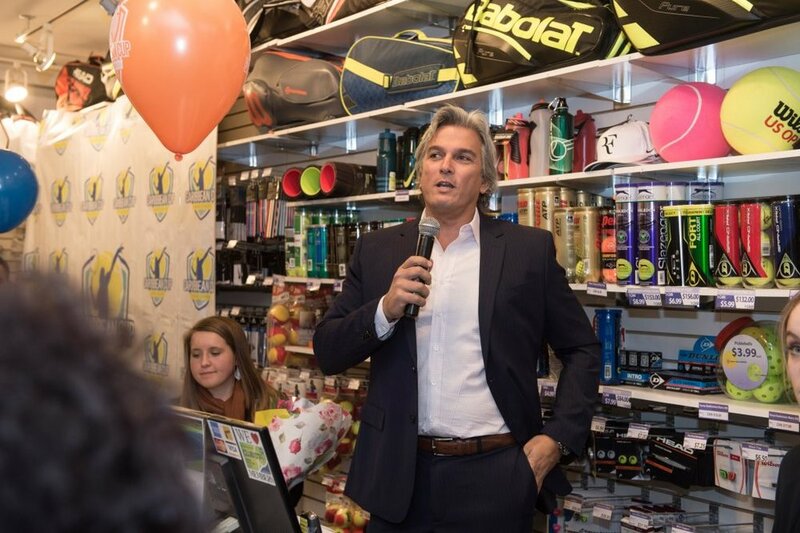 Karl Hale, Rogers Cup Tournament Director and Jamaican born, teamed up with the Merchant of Tennis and over 100 people on Feb 8th, 2018 in Leaside to launch the Caribbean Cup Tennis Series, which comprises of six masters tournaments in Anguilla, Antigua, Barbados, Cayman, Jamaica, St. Vincent and the Year End Championships in Curacao. The launch was a great evening that raised over $10,000 for Helping Hands Jamaica Foundation. A few celebrities were in attendance including former world Kick Boxing Champion Joe Valtellini, former squash world #1 and world champion Jonathon Power and Dwight Drummond from CBC. The Honourable Fitzroy Huggins consule general of the St. Vincent and Grenadines made a speech and was welcomed as the newest event in the series.